The Department for Education has recently launched the Teaching Vacancies website. This is a free teaching vacancy listing service for schools, and is intended to tackle the significant costs that schools face when recruiting and advertising for staff. Instead of paying for adverts, schools can list available jobs on the site for free. The site is being rolled out in geographical phases and is due to be rolled out in Oldham in the week commencing January 14th. 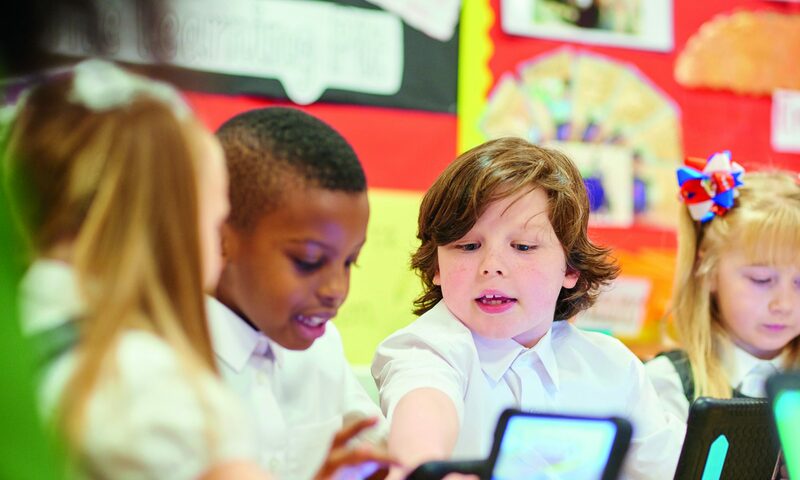 We want to make sure that schools in Oldham are all able to access the system as soon as it goes live. In that week, every school will be sent a registration email centrally from the DfE team. You can sign up using that email, when it arrives. There will be an advertising campaign for Teaching Vacancies starting shortly, aiming to raise the profile of the service and to make it the first calling point for teachers looking for a new teaching role. Since 2016, Oldham has received additional Government funding as an ‘opportunity area’, to help improve the life chances of its children, young people and their families. Activity is happening all over Oldham, so when the Opportunity Area (OA) Partnership Board met recently, we were delighted to meet some of the people who have benefited from that work. We met Meghan and Sharif, two of Oldham’s Young Ambassadors. They represent a group ranging in age from 11 to 18 who have worked together to help shape the priorities for investment in Oldham. Their hopes for the future are at the forefront of their minds; they spoke eloquently about feeling positive when they see the redevelopment and changes in the town centre. But they also feel that these chances aren’t open to everyone, because of their personal circumstances. They provided a passionate reminder of why supporting children and young people to do well at school, and get decent jobs with good prospects really matters to the people of Oldham. We also met with three parents who told us about how the youngest children in Oldham are being supported in new ways, which I hope will make an impact for years to come. They have taken part in Making it REAL, a project in schools which gives parents confidence to improve their children’s reading and writing. I was struck by how those parents not only saw the difference in their children, but also felt a difference in their own abilities and confidence, which brings a positive knock-on effect for older siblings too. The OA Partnership Board were interested to hear suggestions from both the parent and Young Ambassadors about where things could change or improve. These comments came at just the right time, as the Board were reviewing where else we should be investing the funding we have. One message which came through strongly was the need to communicate to help build a shared sense of the efforts which are underway to improve the future for children and young people in this community. That’s why I will be sharing more about what is happening across Oldham, to help celebrate success, and to encourage more schools, families and young people to get involved. I will next meet with the other members of the Partnership Board in the New Year, so I’d like to take this opportunity to thank everyone who is working so hard for Oldham, and to wish you all a peaceful and enjoyable Christmas.